The HandShoe Mouse has been developed by a Dutch medical university and has been tested in large organisations for several years. 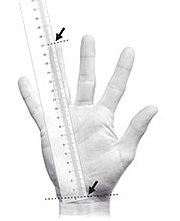 During these tests many people who were suffering from RSI or Carpal Tunnel Syndrome were able to return to work again. 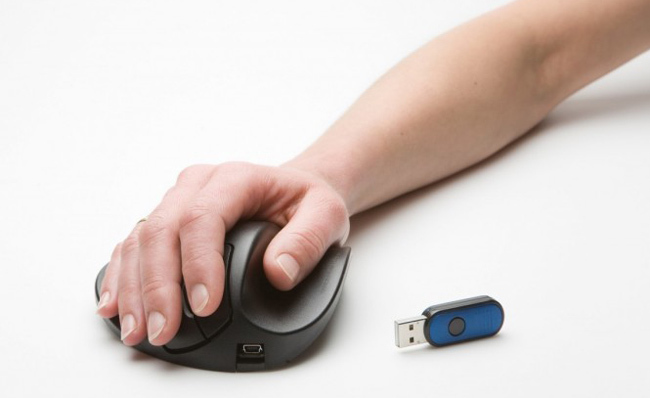 The reason is that the unique and patented shape of the HandShoe Mouse fully supports your hand in the best relaxed position and prevents gripping and pinching, which is what you do while using a standard mouse. 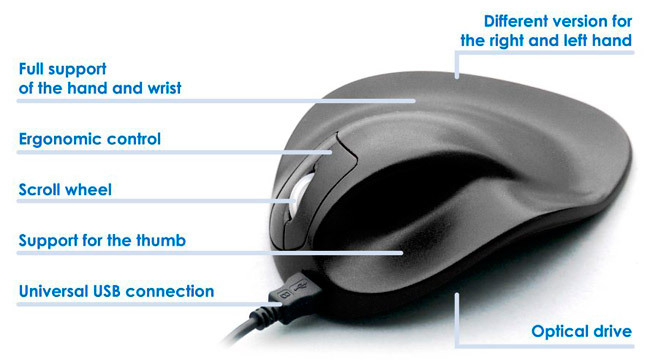 The HandShoe Mouse "fits like a glove" or, like some people say "feels like a saddle for the hand". The HandShoe Mouse is available in three standard sizes (Small, Medium and Large) which are available in a wireless and a wired version. the hand and arm) up to the tip of the ring finger. This length provides an indication of the required size. Small hand size up to 175 mm up to 6.9"
Medium hand size 175 - 198 mm 6.9" - 7.7"
Large hand size 195 - 215 mm 7.7" - 8.5"